Hair color should sometimes change with the season. In areas with climates like Madison WI, the changes can be dramatic. In summer, all hair color is affected by sun exposure. 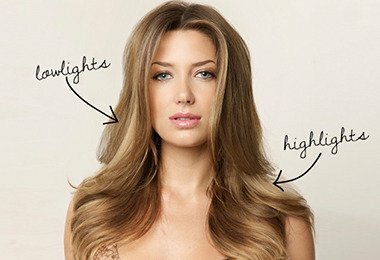 Blondes get blonder and brunettes often develop natural highlights. As autumn approaches, women can take advantage of the natural landscape too; They can make their hair color look better than ever. 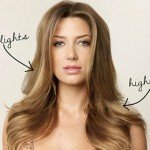 As you pack away your beach towels and trade your lemonade for a hot chocolate, think of what adding lowlights in your hair color will do to your “style”. Lowlights add a rich, luscious feel that looks great with the change in colors (leaves) and the addition of sweaters, jackets and scarves. To help our customers with overly lightened hair needing an infusion of rich autumn color to freshen up their style, we have a SPECIAL LOWLIGHTS OFFER. Womens hair color protection during summer months is a hot topic for those wanting to protect their investment. Because Womens hair color is artificial, it is subject to being broken down by the elements. The biggest offender is the Ultra Violet rays of the sun. In a relatively short period of time, UV rays will break down the artificial pigments and help you wash the color out of your hair. 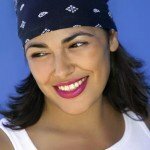 Hats – whether you use them as a fashion accessory as part of an outfit or as part of a protection system for extended time in the sun such as at the beach, hiking or other outdoor activity where there will be no relief from the sun, hats are easy to use. Easy on in the sun and easy off for when you are in the shade.